ALL IN ALL IT’S ANOTHER STRIDE ON THE WALL – THE GREAT WALL OF CHINA! The World's Only Polyhalite Mine | ICL Boulby > ALL IN ALL IT’S ANOTHER STRIDE ON THE WALL – THE GREAT WALL OF CHINA! Zoe in training by tackling the steps to Whitby Abbey. Charity fundraisers are nothing if not creative in their choice of challenges. And the ones who work among us are no different. 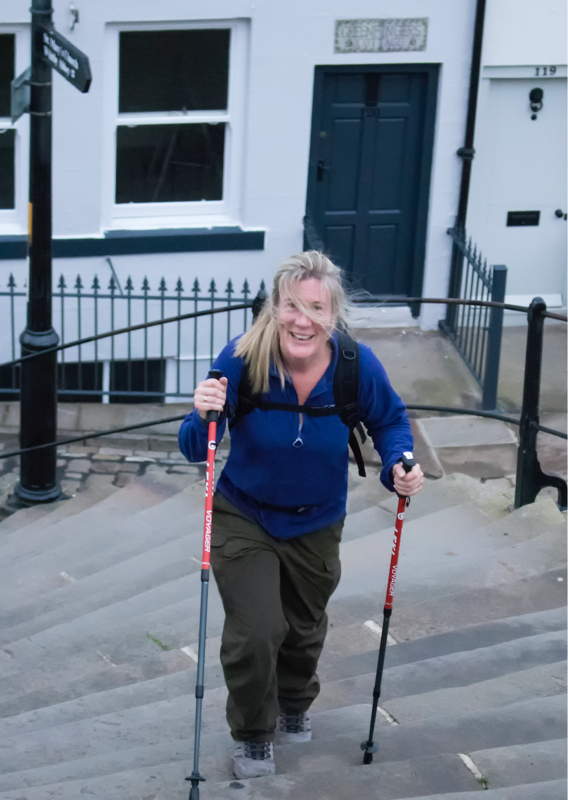 Take Zoe Cooper, our Environmental Officer, who next month (October) is off to walk eighty kilometres along the Great Wall of China to raise money for the Multiple Sclerosis Society. That is a fair bit more than a gentle Sunday stroll so how is Zoe preparing for such a marathon task? 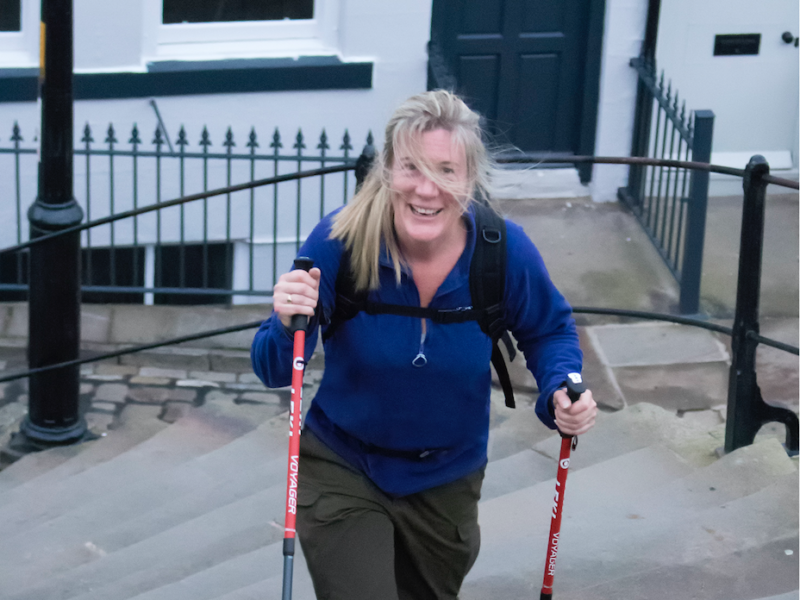 “Whenever possible I go out early to do morning exercise which, at the moment, means me climbing the 199 steps to Whitby Abbey eight times,” she explained. “Other than that I do long walks on the weekend, up to about six hours worth,” she added. But, on the bright side, not everything Zoe has done in terms of fundraising has caused her pain. She has staged a charity disco night that was so popular the raffle tickets ran out so a friend had to dash out and buy another couple of books. In the end the night raised some £500 towards her target of £3,000, which has now been passed. Zoe is extremely grateful for everyone who has supported her so far: “Everyone has been brilliant. My union, UNITE, got me off to a flying start with a donation of £500 and then ICL UK chipped in with the same amount which really took the pressure off,” she said. “But then so many other people came on board to help me raise money – donating prizes, selling buns, baking cakes, contributing sponsorship etc.,” she added. Zoe’s Just Giving page is still open and any further contributions to her total would be gratefully received for such a worthwhile charity. You can donate to Zoe’s cause here.